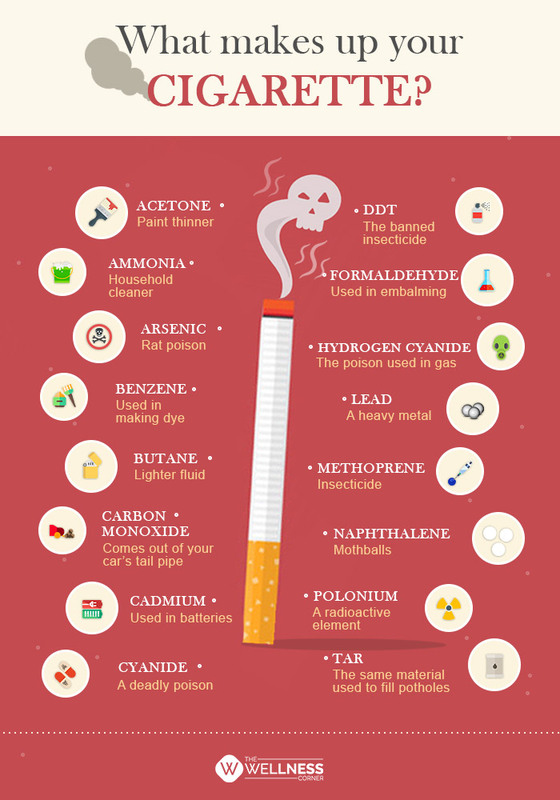 What makes up your cigarette? Nicotine is a known substance used in a cigarette. Did you know that is not the only harmful substance which is present? Your cigarette hides many toxins and carcinogens within its folds!